The 37th annual ACM SIGPLAN conference on Programming Language Design and Implementation, PLDI, is the premier forum for all areas of programming language research, including the design, implementation, theory, and efficient use of languages. PLDI’s emphases include innovative and creative approaches to compile-time and runtime technology, novel language designs and features, and results from implementations. The Practices of PLDI is available here. The PLDI’16 technical papers are available via 1-click download from the ACM Digital Library and for free via OpenTOC. 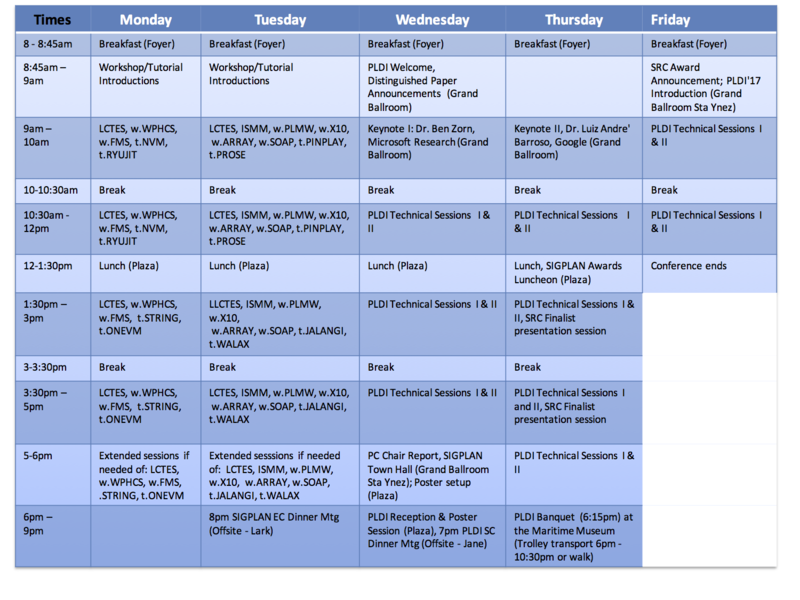 Final conference schedule is available here (one page version).